This amusement park has been around forever. When I was a little kid, my parents took their sixth-grade Sunday School class there. One of the kids threw up on a ride. That’s practically my only memory of the place. 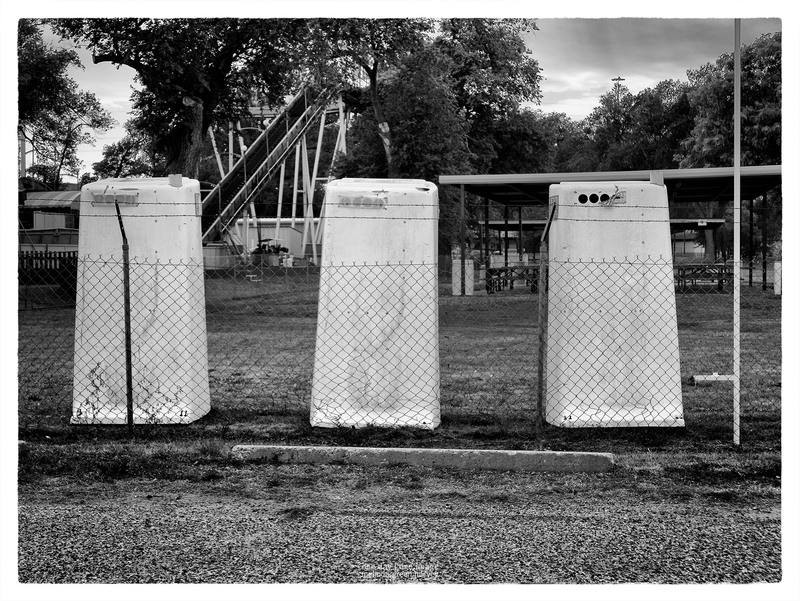 I drive by there every couple of years, and this time I saw three portable toilets. Not that they made me think of throw-up kid or anything like that. Posted on May 19, 2017, in Photography and tagged 365 photo project, amusement park, black and white photography, joyland amusement park, learning to see, Leica, lubbock, lubbock texas, melinda green harvey, monochrome, one day one image, photo a day, photography, postaday, texas, thoughtful seeing. Bookmark the permalink. Leave a comment.